Atlanta Blogger: Video: Mac Miller Explains The Meaning Of “Pink Slime”. 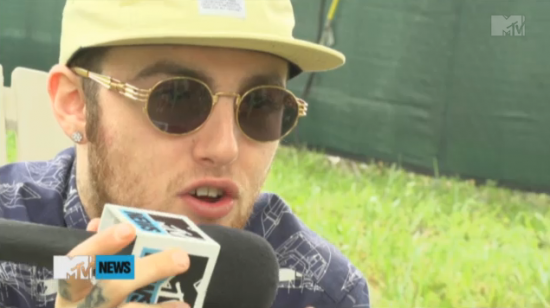 Mac Miller talks to MTV at Bonnaroo 2012 about his upcoming EP “Pink Slime” with Pharrell. He breaks down the meaning behind the project’s title.